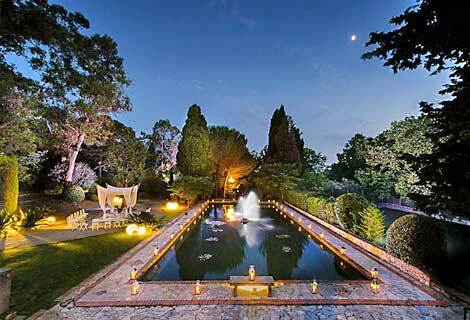 The remains of an estate which had its heyday in the 1930s, Le Park Lenôtre de Mougins today covers almost 18,000 m². 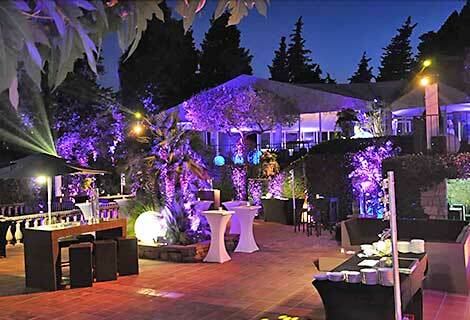 15 minutes away from Cannes, Le Park can accommodate 20 to 2000 guests in its function rooms, terraces and gardens. The patio is a warm, spacious area, ideal for your prestigious dinners and private receptions. Ideally situated in the heart of the villa, you can take full advantage of this building which is full of character. Below the entrance are the terrace and the lily pond – the perfect place for aperitifs, cocktails, dinners, buffets, cocktail parties, barbecues and so on. 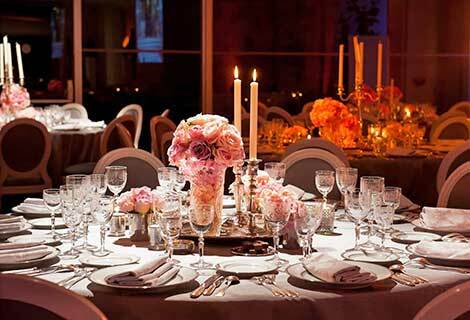 There are many different layout options as well as a large variety of catering packages. During the day, huge pergolas bring welcome shade, providing a comfortable place to escape from the sun’s rays. The park is an outstanding area for walks - a place where nature has reasserted itself. Amidst the vegetation with its occasional exotic scents, the paved paths take you up terraced steps to the ancient theatre, its pond and the 17th century Florentine fountain. It’s the perfect spot for taking pictures of the countryside and private cocktail receptions amongst tamed nature. The Lounge is a cosy place at Le Park, with its Baroque architecture baroque and majestic fireplace. It’s the ideal place to begin and end the evening, with its cigar cellar and a selection of liqueurs. Its subdued lighting creates an atmosphere which also lends itself to intimate receptions which require a little privacy. Le Park also has a private area especially for parties. You can finish off your evening having a great time ‘clubbing’ in its disco. Its sound and video systems also mean it can be used for organising professional meetings.